Please send me a price for the PWU-1280-EPAL-B 48x32 used wood pallet. 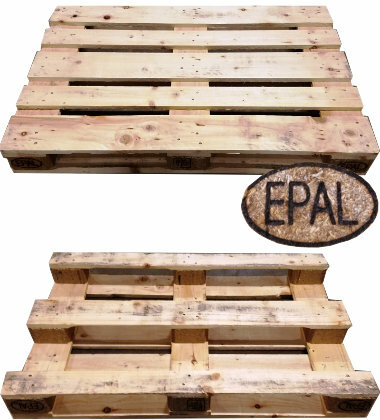 This wooden Euro pallet is heat treated and meets standards set by the European Pallet Association (EPAL) for export to Europe. There are no nails in this nestable wood pallet molded from presswood into a single piece pallet design for saving valuable space. Is the PWU-1280-EPAL-B the right pallet for you?